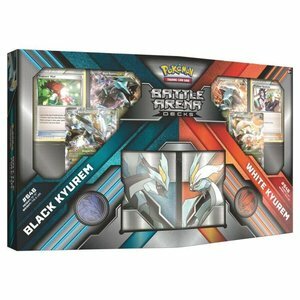 Black Kyurem and White Kyurem go head to head in the new Pokémon TCG Battle Arena Decks! These two 60-card decks are ready to play right away, with powerful cards and winning strategies worthy of an ace Trainer! 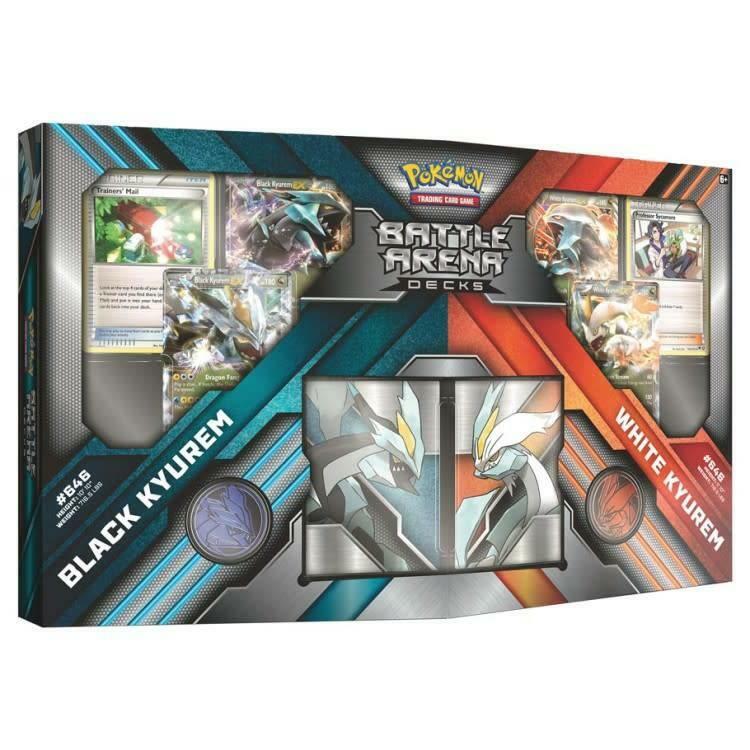 Each deck is led by an exceptional Pokémon-EX and includes 11 foil cards. Let the battle begin! Tournament-level Trainer cards, including Lysandre, N, VS Seeker, and more! Special versions of Professor Sycamore and Trainers’ Mail with all-new art!